Jeremiah Horn ministered in Cherokee Nation East as early as 1818. He voluntarily moved to Indian Territory in the west in 1834 as part of the early removal of the Cherokee. He would be named in that year by the Methodist Conference (now you can read “denomination”) as their missionary to the Cherokee. 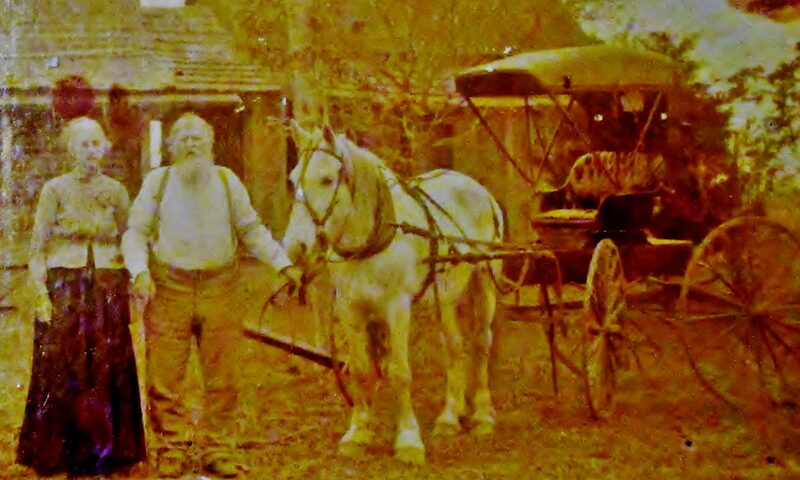 By 1846 he was in Collin County, Texas as part of the Peters Colony. He went on to establish churches and “ride the circuit” while running a farm, blacksmithing and hauling freight with his sons. He died in 1867. Below is a quote concerning Methodist missions among the Cherokee people in the early days. With their uneducated but caring circuit riders and their “four-day” or protracted camp meetings that resembled Cherokee all-night dances and extended camping, Methodists converted more Cherokees than all the other denominations combined. Their Arminian approach minimized atonement and the recognition of saints. Salvation was an open door, and sinners had free wills. In 1823 the first circuit riders were appointed in Tennessee near the site of John Ross‘s home, south of Chattanooga. Their emphasis was not on model farms and boarding schools but rather on itinerant and emotional ministry. However, the Methodists, yielding to Cherokee wishes, did open six-month day schools at Oothcaloga and Pinelog, along with semipermanent churches: barely literate but enthusiastic, the main ministers were Richard Neely, Nicholas D. Scales, Dickson C. McLeod, and James J. Trott, all of whom married Cherokee women. Within four years Methodists accepted Cherokees as licensed preachers and traveling exhorters, among whom were Young Wolf, Turtle Fields, John Spears, William McIntosh, and John Fletcher Boot. In 1829 Methodism achieved a milestone when the church admitted the Ross brothers, John and Lewis, as members; the former had a home at New Echota. By 1830 Methodists had claimed more than 1,000 members. Very interesting and loved the story. Oh by the way, my DNA is in the lab and being processed. Looking forward to the results!! Excellent! Keep me posted and thanks for reading the blog!